How important is it to learn to need less and less to hide behind? Of significant importance in this philosophy, is the notion of ‘true honesty’ – gathering a level of objective insight that introduces one to the notion of NOT NEEDING ANYTHING TO HIDE BEHIND. Such healthful clarity/unblemished ‘witnessing’ is a significant aspect of what is coined as ‘glimpses of heaven’…loving bio-electric spine-tingling/shivering (chi/ki/pranha) feelings/realizations (and nurturing the genuine/quintessential skill of doing so AT WILL – AND as a way of life). Do you want to get a ‘buzz’ on? ALL of the time? With no assistance? Naturally…no cheating? What if it has to do with those benevolent sparkling spine-tingling/shivering feelings (those feelings that we usually only and spontaneously enjoy in special loving/sentimental moments)? A so-beautiful way of being – oh(!) SO light and fluid and relaxed…ALL of the time? Does it have to do with a true love, inclusive, yet oh SO much more than just familial, friendship, and romantic love? Is it all so much about not needing recognition or having hidden agendas? 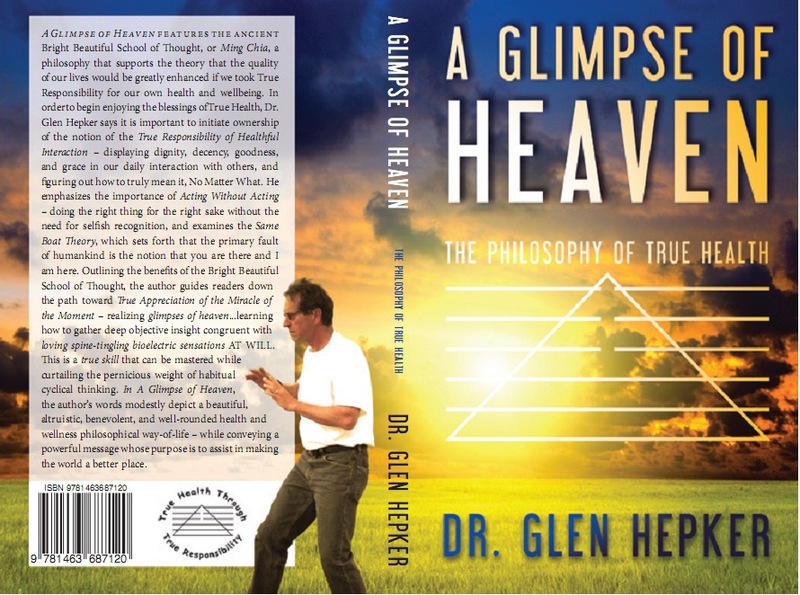 As a WAY OF LIFE, can this be consistent with ongoing quintessential/beyond splendid ‘glimpses of Heaven’…harmony between Heaven and Earth? If there is such a thing as true health, can this be a significant part of it? Is it SO light (lightness of being AND absorbing of light)…without the debilitating weight of craving, desire, and fear of healthful change? What if the following was truly a loving, resplendent hint? How much goodness and grace does it take? It is easier to accomplish all of this when we can embrace the notion that each of us has historically ‘rocked the boat’ – and will likely do so again. It is easier to forgive ourselves for past infractions, when, in the here-and-now, we can display honest and well-meaning empathy and forgiveness for similar behavior in others. In the traditions herein, this healthful mien is viewed as being in direct congruence with the true responsibility of supporting others – and one aspect of an honest and loving true freedom. Some things can only be (truly) understood by witnessing – whether it be of this Earth and the living story thereof, or in a glimpse of heaven. Both levels of…(?) existence have commonalities, and there are many means by which to make this world a better place. Albeit, all meaningful ways as such are inclusive of these things: True Freedom, aka the accumulation of light and lightness, and its almost-unblemished and/or genuinely unblemished true love and true responsibility of universal compassion and healthfully-balanced empathy. As said, there are many means by which to make the world a better place – but all meaningful ways, to be exact, are inclusive of this level of grace and the freedom to artfully appreciate what we have. ‘There is a place where, wherever you are there, whatever you are doing…no matter what, in any given moment, there should be nowhere you would rather be. In the wilderness of our existence…a place of budding flowers about, about to unwrap in a showing of perfect appreciation for all to thrive upon, we are the flowers which can blossom again and again in each season of our deeper and deeper insights…all connected…each better and more healthful than before. It is not unlike Heaven…and it can become Heaven, with enough insight and appreciation. 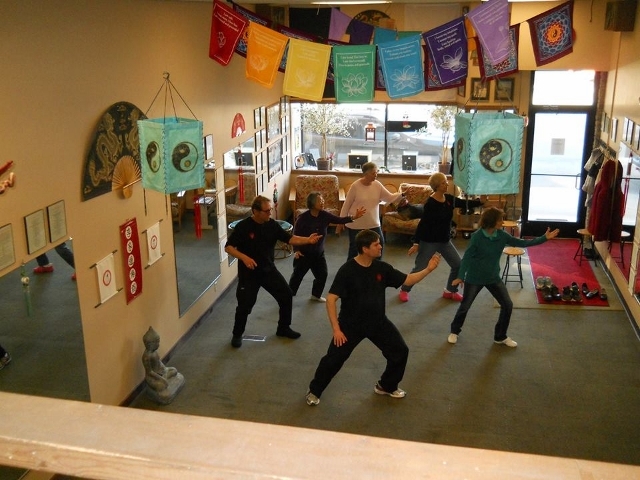 In the ages-old health and wellness arts that I teach, coach, and endeavor to follow (the Bright Beautiful School of Thought/Ming Chia), among its most central features is the notion of Acting Without Acting. Philosophical insight into, and practical application of Acting Without Acting is splendidly congruent with physical, emotional, and spiritual health and well-being. Speaking quite humbly and respectfully, its basic thesis sets forth the importance of endeavoring to do the right thing for the right sake…without the need for selfish recognition or hidden agendas. Accordingly, the more and more selfless and loving we are in our thoughts and actions, the more and more we can benevolently and mindfully embrace a so-healthful spirit of true appreciation of the miracle of the moment…inclusive of gratitude for all of the splendid blessings in our lives. This genuinely healthful outlook allows us the ever-evolving wherewithal to take more and more responsibility for our own health and well-being, and learn to better and better avoid giving into tendencies of craving, desire, and fear of healthful change. It becomes a simpler matter to avoid paralyzing self-deceit and self-betrayal. More and more of the ‘walls of lies’ come tumbling down…with less and less to hide behind. How much harmony can we have between Heaven and Earth? “Hi Glen. In your writing, you often (lovingly and respectfully) speak of “glimpses of Heaven.” Generally in my life, I haven’t wondered much about it. Thus, I’ve just lived with confidence that all will work out as it should and must be. 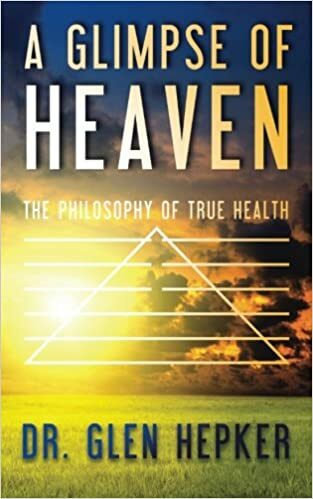 I’ve been asked about what my opinion of what I think heaven is like – and until now, I didn’t have a response (and of course it is difficult to put into words – as you shared, “The Way that can be told is not the Eternal Way, the Way that can be told is the Mother of all things”). Response: So splendid Jill – it is so quite clear that your heart is in the right place, and that you are making the world a better place on deeply substantive levels. Thanks so very much for sharing. Quite humbly speaking, a primary point in this thesis, is that such ‘glimpses of Heaven’ are all around us, all of the time. There are ‘magical’ things all around us, and inside of us, once again ALL of the time. Often we are untrained to mindfully play the part of the unblemished Witness – a way of being which resonates with sparkling spine-tingling/shivering depths of true appreciation and gratitude. Such loving witnessing can allow us realization of true honesty, promoting of true happiness and true freedom, but most importantly needing less and less to hide behind. It is a glimpse of a so-to-speak existence where there is no time, no space, no distance – once again, nothing to hide behind…all is known. Do you want to feel better…and better…and better – accepting of no end in sight? How good do you want to feel about life and its living? How good of a place do you want to make your world, THE world? This speaks to inside and out, emotionally, physically, even spiritually, and in the broader world…one reflecting upon the other, back and forth in its intrinsic formulaic dynamic. Please know these notions (within the Bright Beautiful School of Thought/Ming Chia) are in no way set forth in an unhealthful spirit of haughtiness…accordingly congruent with the Same Boat Theory, we are ALL in the same common boat in this and in so many other means (much more than we often think and act). Consistently, we ALL have our light and dark sides, and it is up to each one us as to decide how light or dark, how bright we want to be. It is up to each of us to decide how healthful or unhealthful we want to be. It is all about how much each of us wants to take responsibility for our own health and well-being. In regard to an additional traditional definition of ‘lightness,’ it is up to each of us to decide how ‘light’ of the pernicious weight of unhealthful ‘baggage’ we want to be. In the analogy of the ‘same boat’ as utilized herein, we can choose to selfishly ‘rock the boat’ in unhealthful fashions, or we can learn to be more and more loving, appreciative, and selfless in our outlook and behavior. In the Theory of Lightness, in a splendid facet of the jewel of its manifest beauty, we can accordingly allow ourselves to more deeply and deeply embrace the notion of the ‘accumulation of light and lightness.’ In its genuine practical application, we can realize a more and more beyond words sparkling, spine-tingling, loving, and altruistic brightness. In accordance with the Bright School Theory, each of us, if willing, has a wonderful ‘free will’ choice as to how light/bright/healthful we want to be. How light/bright/healthful do you want to be? How important is it to you to utilize the True Gauges of True Health to decipher as to how healthful your thoughts and actions (choices) are? Consistently, how often is it possible for us to look at our thoughts and actions and decide whether they make the world a better place? How often is it possible for us to look at our thoughts and actions and decide how well we are Acting Without Acting – endeavoring to do the right thing for the right sake without the need for selfish recognition or hidden agendas. How often are we acting in a benevolent and altruistic spirit of dignity, decency, goodness, and grace (and figuring out how to TRULY mean it!). How much does this sound like ‘pins-and-needles-ville?’ It DOESN’T have to be pins-and-needles-ville! This so-splendid and genuinely loving and selfless spirit of True Appreciation can be more and more in each moment…recognizing that NO MATTER how difficult or easy things are, each aspect of each moment, each thing, each facet of being, can be more and more impeccable quintessential blessings. How far can this go…how far can it so beautifully go past what words can describe? The answer may be in how masterful one can be in learning to play the part of the less and less blemished Witness…with less and less expectations, preset patterns of thinking, and learning to better and better embrace healthful change. In this tradition, it is learning to live life as a loving living art, witnessing the living loving story of one’s life AS one goes about it, versus just being a pawn in the story of one’s life. What say you? SO quite humbly and respectfully, and not in a spirit of sounding/being harsh, how important is it to you to avoid ongoing stagnant plateaus (which can be like a living death)? We ALL have the ability to get stuck there, and we all have the ability to get unstuck. It is up to each of us to decide what is important or unimportant, and how much we are willing to lovingly embrace our comfort and discomfort equally. It is strategically treating life as a living loving art…and deeply embracing a most wonderful of blessings in said art, i.e., that there is ALWAYS room for improvement. It is the so beautiful spirit of True Appreciation of the miracle of the moment – more and more each moment. It is in ONGOINGLY needing less and less to hide behind. It is True Health through True Responsibility. In gathering more and more skill in this, we may realize more and more sparkling spine-tingling ‘glimpses of Heaven.’ Each of us has the ability to make it so.